PHENOMENAL TAPE TO LISTEN TO DURING THE HOLIDAY TRAFFIC TIME. 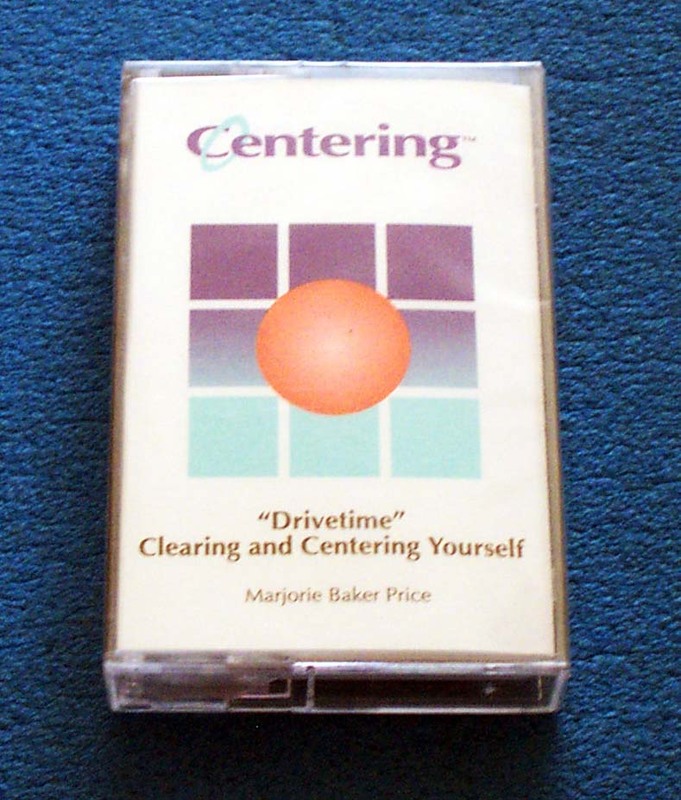 'Centering on the go', through 'Drive-time' tapes you can listen to, will help you unwind, clear and center yourself before and after (and during!) your work day. Leave everything behind, recover and recharge yourself and your life to explore whatever direction you choose and need to relax and empower yourself. FEEL GREAT through an easy to follow self-hypnosis exercise from 'Clearing and Centering Yourself'. As you listen to this tape, you will be led to find your inner center, detach, clear and easily rebalance. When you listen to the second tape, 'Drive-Time: Leaving Your Work Behind', you will release the tensions of the work day, recharge and uplift to a higher, clearer inner space. Marjorie Baker Price is a registered nurse, and is the author of the nationally acclaimed Centering Tools audio tape series for emotional, spiritual and physical balance and well-being. She can help you build a foundation for personal power. Any questions please contact me at Marjorie@centeringtools.com.